Nominate your company and your best drivers, fleet managers and safety employees for one of the Alabama Trucking Association Fleet Safety Awards. This Safety & Maintenance Management Council event demonstrates the extreme importance the trucking industry places on highway safety. Award presentations will be made at the Annual Fleet Safety Awards Dinner on Monday, March 25, 2019 at the Pelham Civic Complex. FLEET SAFETY CONTEST. Based on accident frequency, measured by the number of accidents per million miles in which your drivers were involved in 2018. Only accidents that occurred in Alabama and miles run in Alabama are considered in the computation. DRIVER OF THE YEAR AWARD. Every ATA trucking company member has drivers who are deserving of recognition by their company, whether they win the contest or not. The prestige of simply being nominated goes a long way toward improved driver morale and retention. 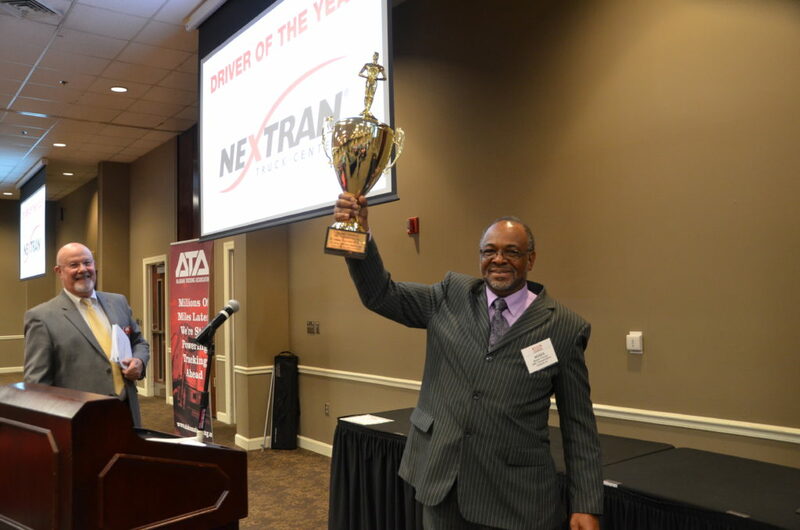 The winning driver is presented with a trophy and is invited to be our guest at the 2019 Annual Meeting in Sandestin, Florida. SAFETY PROFESSIONAL OF THE YEAR AWARD. This award goes to the individual who, in the opinion of the judges, has done the most to promote highway safety within his/her company, community, state and the Alabama Trucking Association. MAINTENANCE PROFESSIONAL OF THE YEAR. This award is presented to the individual who effectively supervises the maintenance department of a member company while improving efficiency and lowering maintenance costs. FLEET MANAGER OF THE YEAR AWARD. This award is presented to the individual that has a proven track record in managing a fleet of drivers who consistently exceed expectations of the fleet as a whole. By participating in this contest, Alabama trucking fleets have can demonstrate how committed they are to highway safety. Judges are from the Federal Motor Carrier Safety Administration and the Alabama Department of Public Safety. The judges are impressed by the number of nominations for professional awards as well as the number of safety contest entries, so it is important that everyone is involved. To download nomination packet, please click here. For more specific questions and information, please call us at 334-834-3983.